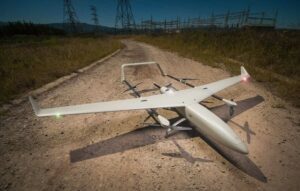 ALTI UAS is a leading developer and manufacturer of commercial unmanned aircraft systems (UAS). Our VTOL (vertical take-off and landing) hybrid unmanned aircraft are among the most advanced in their class. We have many years of in-house manufacturing, 3D printing, rapid prototyping, aviation engineering and software development experience, and have manufactured and shipped over 1000 UAVs around the world to large and well-known global organisations. Our unmanned aircraft are ideal for a variety of applications, including agriculture, infrastructure inspection, mapping and surveying, and security. The ALTI Transition is a reliable, affordable unmanned aerial vehicle designed for everyday civil and commercial use. A fixed-wing UAV with VTOL and hover capabilities, the Transition features a modular airframe that can be set up in under ten minutes and requires no runway or catapult to get airborne. Once aloft, the aircraft transitions into forward wing-bound flight for the duration of the mission. A smooth and level back transition into a solid hover allows the Transition to land virtually anywhere, quickly, reliably and safely. The hybrid electric-fuel system provides an extended endurance of up to 12 hours. The ultra-lightweight carbon fuselage and highly advanced aerodynamic design provide the Transition with a best-in-class performance, low stall speed, efficient cruise with very low drag, excellent stability in high winds and an incredibly low MTOW weight of only 16kg. An advanced autopilot system, featuring high-end components, GPS and sensors, incorporates redundant flight control and many other fail-safe features such as stall speed detection, overbank protection and velocity checks, resulting in highly reliable operation. The Transition’s large open payload bay allows users to field and easily interchange a wide variety of sensors for flexible mission requirements. Currently in development, the ALTI Reach is our upcoming highest-specification unmanned aircraft in the UAS family that already includes the ALTI Transition. It will be aesthetically and configurationally very similar to the Transition, offering the same reliable, efficient VTOL capabilities and fixed-wing flight performance. The aircraft will feature a wingspan of 6m, an endurance of up to 20+ hours and a payload capacity of 12kg. 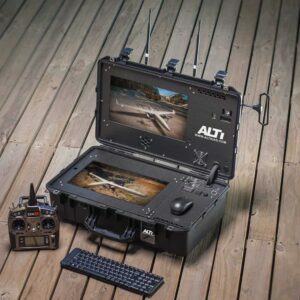 Our advanced Ground Control System is a complete control and command station for the ALTI Transition unmanned aircraft system. Contained within a single compact Pelican case, the system is built around a state-of-the-art computer with dual screens, pre-loaded with mission planning and control software, and is quick and easy to transport and set up. Optional ALTI Range Extension Package with pneumatic telescopic mast, directional grid antenna and 10W Microhard amplifier, providing long range data and video operation at up to 100km. 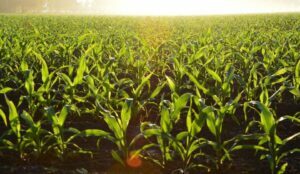 Our UAVs can provide highly efficient coverage and data collection for large farms, allowing farmers to quickly gain insights into crop health and other indicators and thus reducing costs of pesticides and fertilizer. A thermal camera payload will help detect well-watered field regions as well as dryer patches. 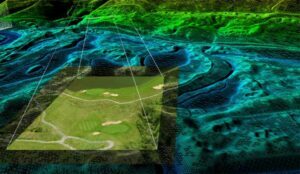 Our aircraft can be used to provide real-time, accurate 3D comparable data, which is essential to effective infrastructure planning and helps detect deteriorating conditions and underdeveloped areas of infrastructure. Land surveyors can rapidly deploy our advanced UAVs in even the most remote and inaccessible areas, providing them with remotely-sensed, real-time geospatial data. 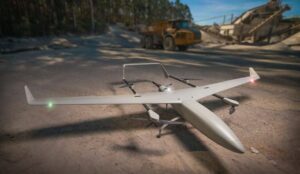 UAV aerial photography and remote sensing payloads can be deployed to safely and efficiently survey mining areas, allowing for increased productivity and further expansion. UAVs can provide real-time intelligence to decision-makers, allowing better pre-planning, greater control and more efficient resolution of emergency situations without putting human operators in harm’s way. By submitting this form, you consent for your details to be sent to ALTI and its authorized partners in order to respond to your inquiry. Depending on the location of the organization, your personal information may be transferred and processed outside of the European Economic Area.